Rhyden is a concept meant to explore the idea of a simple statement piece. A casual refinement, materialized.Rachel Alexander, founder and designer of Rhyden, hones her craft in sun soaked Los Angeles. 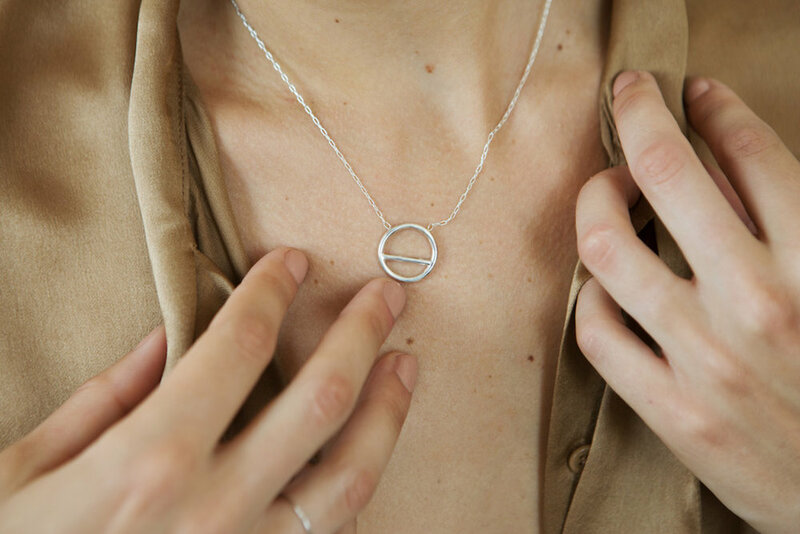 Her collection melds a sculptural sensuality with the simplicity of geometric lines, elegant form, and impactful minimalism.Every Rhyden piece speaks of lasting craftsmanship that transcends seasons while yielding a day-to-night ease-of-wear sensibility. All Rhyden items are proudly handcrafted in DTLA, CA with precious metals, and conflict-free ethically sourced diamonds.